So, I bought a noodle pack which costs 65 pesos (approx: $1.3). It is somewhat expensive as the regular tasty noodle that we have in the PH, but the usual price range of imported noodles are somewhere between that price or higher. This noodle tasted good except it is too hot to handle. What's inside: It contains the holy red thick sauce (which caused troubles to many people already), the cheese pack (yellow one), and the thick noodles (reminds me of Lucky Me noodles, a local noodle brand in PH). 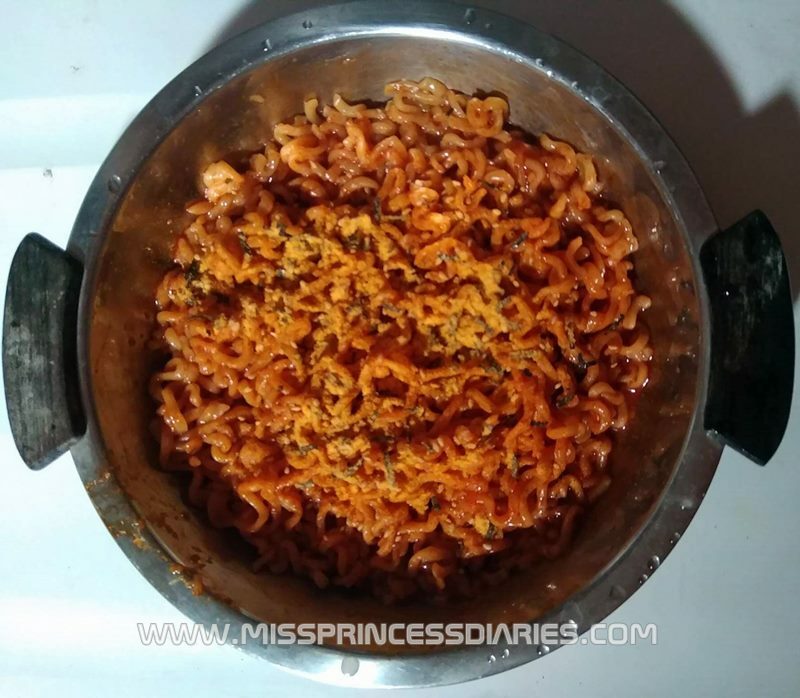 Cook the noodles as directed and mix the sauce and cheese powder. My first Samyang spicy noodle trial was the Samyang 2x Spicy Fire Noodle. I don't know what I am doing that time and I thought people were exaggerating. Plus, it was my friend who purchase it for me. I thought it was the regular one that people are trying out. #surething At that time, I am so ready for the challenge. My stand on spicy food is somewhere in between, sometimes I want it and sometimes I don't. I remember I was ready with my milk too. I end up crying like a baby in my first chomp. I didn't expect the level of its spiciness. Upon research and after that not-really-good experience, I just found out that it has 8,808 SHU (Scoville Scale). 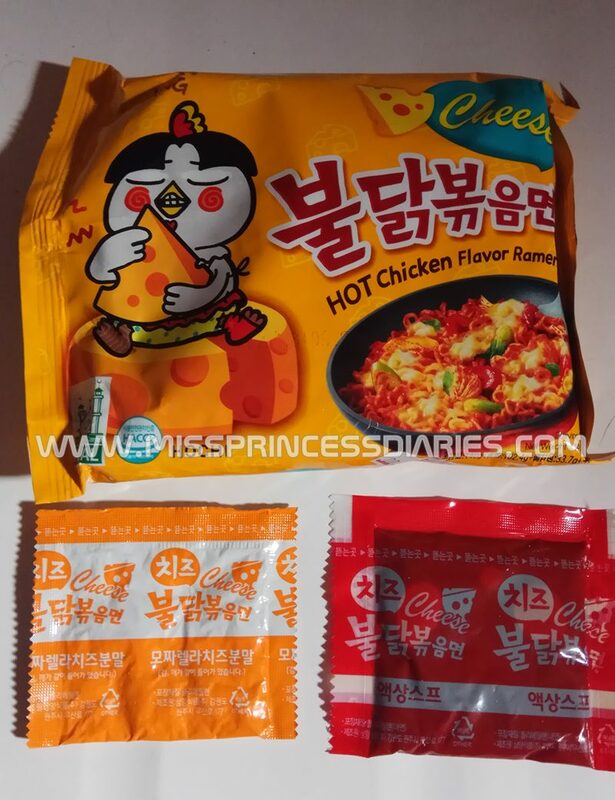 It is probably the hottest among the Samyang noodles. I knew now why people were so exagerrated over it and it made me a drama actress for a day. Try it for yourself. It was indeed tolerable. I still can't finish the whole pack, but I ate the half and I am done. 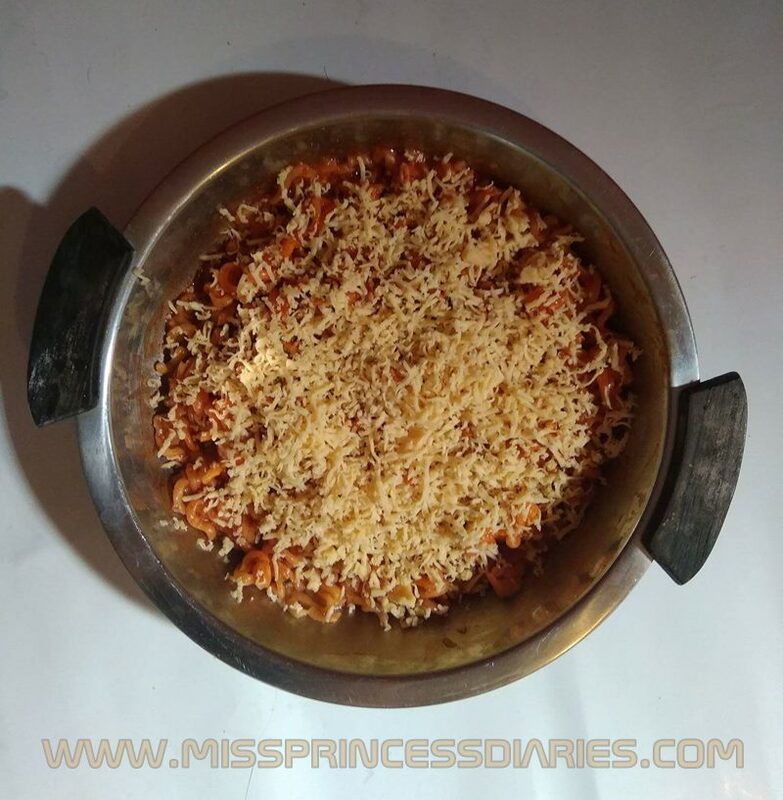 The extra chesse mix helped out with toning the spiciness. It is still hot as I knew it. This time there is no drama and no milk. Luckily, I got no problem with my stomach (not after the first trial bite. Lolz!) after finishing half. If you want stomach ache problems, then ate the whole thing or more. Haha! I heard some. Milk, Don't touch the sauce with your lips (as much as possible), Continous eating until you finish it, Warm it first. There is no definitive techniques on eating this spicy noodle. The tolerance depends in every person. I've seen someone finish it just like that and some regret even the first bite. If you want to know your side, try it for yourself. You'll never know until you experienced it, but yeah it is nice to get warned at least before your trial. Will I still try the other variants? Maybe next year! Haha. 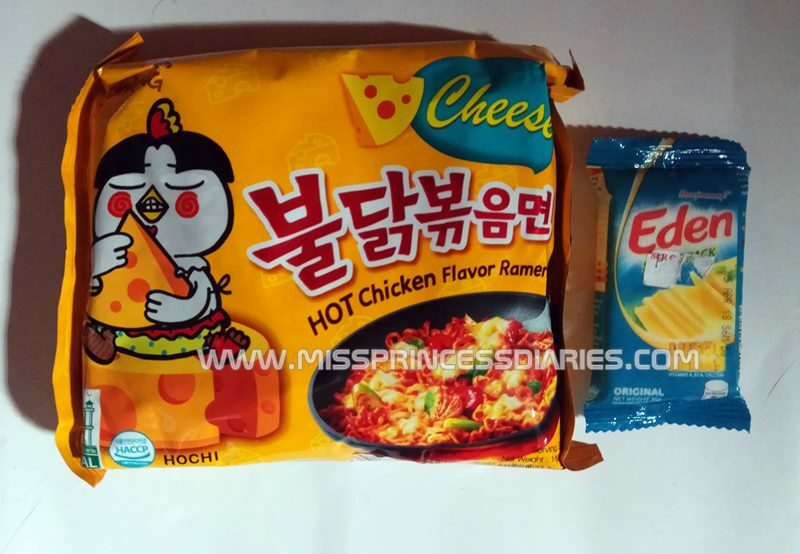 What is your spicy noodle challenge story?